ECOO is the umbrella organization of 40 national professional associations from 26 countries, which meet twice a year at the General Assemblies of ECOO. The day to day running of ECOO is ensured by the ECOO Secretariat. The strategic leadership and decision-making body is the Executive committee, which is led by the President. The Professional Services Committee, which deals with the development of the profession in terms of the scope of practice of optometry and optics in the member countries. The Public Affairs and Economic Committee, which deals with economic and commercial matters as well as with specific legislative and non-legislative EU dossiers. 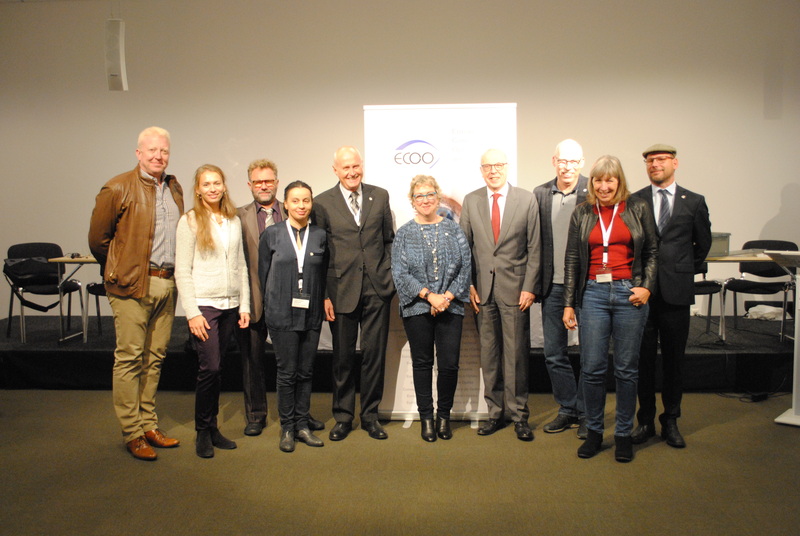 In addition, ECOO has developed the European Diploma which offers students and eye care professionals the opportunity to get certified with the “gold-standard” in optometry. In ECOO, the Board of Management and the Board of Examiners are in charge of the European Diploma examinations. To learn more about the European Diploma, please visit the dedicated section “European Diploma”.